This is the Eve of a New Year. I hope it can be the the beginning of the year you stop feeling so much pain and begin to rejoice for all the love you still have within you. Strange idea since right now you may be feeling as if love left you a long time ago, but I can assure you, it is all still there. It is trapped behind a wall of pain and bad memories. The truth is, it was love that caused you to put your life on the line in the first place. What did you think it was? Courage? You could have done other things if that was all there was to it. You needed courage to do your job but you needed love to even want to do it. I have a confession that isn't easy to open up about. As a Chaplain, it is hard to admit that I am struggling with hope right now. Don't worry because I've been in this spiritual place many times before. Maybe it is good to be reminded of what it is like to be in darkness from time to time and that way, I stay more connected to the very souls I am here to help. I was searching my site to find some words of wisdom for myself. Oh, I've been known to do that a time or two. When I read it, I decided to share it because it actually helped lift me up a bit. I know that right now, I couldn't write anything better. So, here is a repost of something I wrote back in 2014. 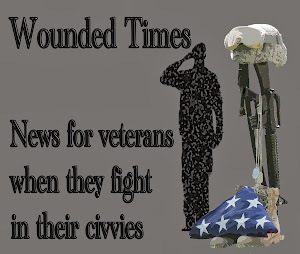 There is plenty of time to talk about veterans suffering, families suffering, instead of healing and living better lives. With only so many hours in a day, we have to make times to talk about what is hopeful as well. There is a beautiful line by David Rossi on Criminal Minds (Joe Mantegna) "Scars remind us where we've been. They don't have to dictate where we're going." When you are wounded and your skin is cut, you expect to stop bleeding and see your scars to heal. If you have a broken bone, after your skin has healed, the bone will heal but the scar remains. No one can see it but you can still feel it. So why not when your soul is wounded? Why wouldn't you assume that the scar you can only feel inside your body would heal as well as what is outside of your body? Combat changed you. It changes everyone. For some it is because you have a great strength within you to feel things more deeply. That strength also allowed you to feel more pain. It does not mean you are stuck the feeling it. 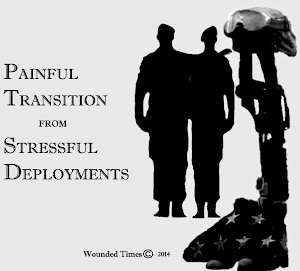 PTSD is part of change and you can change again. Your life is determined by you and what you do to heal. Everything you need to heal is already inside of you. It is great if you go to church but you don't have to. 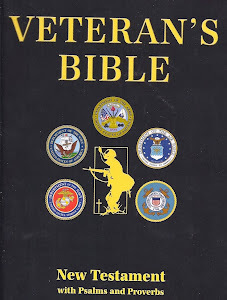 Most of the veterans I know believe in God and Christ, but they do not attend church. When you consider Christ prayed more outside than inside, praying where you are when you want to is not that unusual. How do you pray if you believe He judged you? How do you ask for help when you think He did it to you as some sort of cosmic judgment to teach you a lesson? Well, if that is the way you think then it wouldn't make much sense. Try it this way. He put that tug into your soul to join the military so that you could save others. You did it because He gave you everything you needed to do what you had to. That also includes healing. Why did you want to risk your life for total strangers? Endure countless hardships and sacrifices? Was it for glory? No, most veterans don't want to be called "hero" and even most Medal of Honor recipients take no credit for what they did. 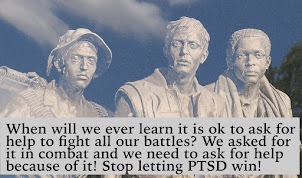 By the way, many of them are talking openly about their own battles with PTSD. It wasn't for the money because when you break down how many hours you put in, especially when deployed, you'd probably make more working less dangerous jobs. It wasn't for personal security because any day could have been your last day. It was because you were created to be what you were. Remember God created a warrior before He created mankind. 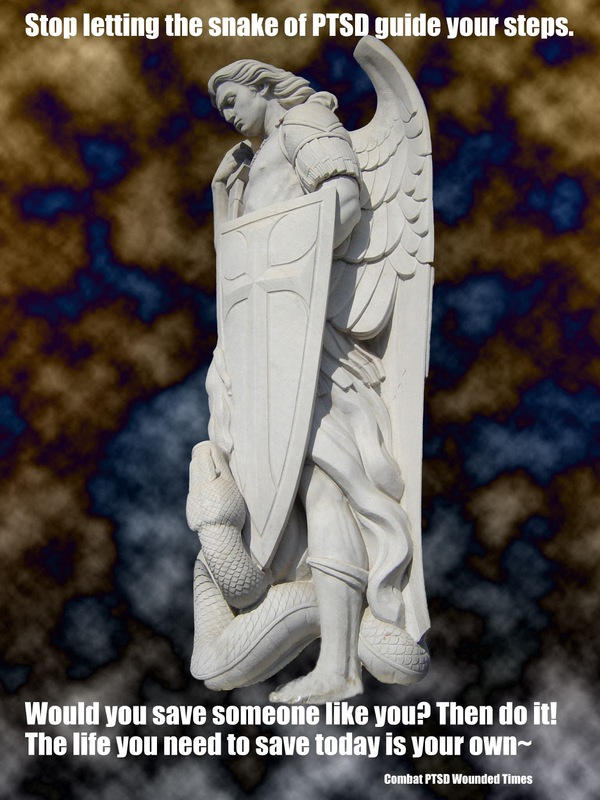 The Archangel Michael. Michael is an obvious identity for a tattoo, as this is the most powerful of angels. Maureen Tilley, professor of theology at Fordham University. "...there was war in heaven. Michael and his angels fought against the dragon, and the dragon and his angels fought back. 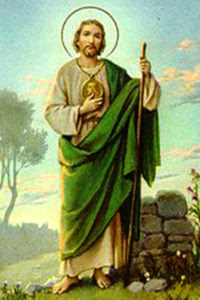 But he was not strong enough, and they lost their place in heaven." After the conflict, Satan is thrown to earth along with the fallen angels, where he ("that ancient serpent called the devil") still tries to "lead the whole world astray". What is going on inside of you is a battle between good and evil but not the way you may think. It is a fight between what is "good" about you that caused you so much pain and what you may think is "evil" about you and it is a spiritual battle you can win. One other thing you need to know right here and right now is a very simple fact. Evil people do not grieve for someone else. They do not feel guilty about surviving and they do not feel pain the way you are. It is what is good within you that grieves. You can find peace and change for the better. This is the kind of love that you have within you. "Love is patient, love is kind. It does not envy, it does not boast, it is not proud. It does not dishonor others, it is not self-seeking, it is not easily angered, it keeps no record of wrongs. Love does not delight in evil but rejoices with the truth. It always protects, always trusts, always hopes, always perseveres. Love never fails. But where there are prophecies, they will cease; where there are tongues, they will be stilled; where there is knowledge, it will pass away"
"Sixth beatitude of the Sermon on the Mount: Blessed are the pure in heart: for they shall see God" (Matthew 5:8). The Greek word καθαρος translated pure, literally means: "free from the admixture or adhesion of any thing that soils, adulterates or corrupts,"F1 hence, "clean, pure." The lexiconsicographers define the term as: "pure or clean," i.e. "unsoiled or unalloyed. "F2 Some believe this verse has reference to "the moral blamelessness of the inner life, the center of which is the heart. 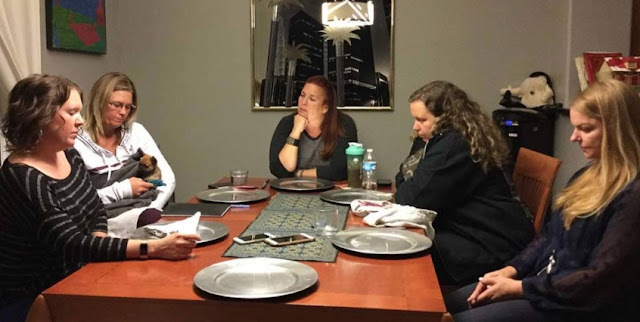 "F3 Others believe Jesus is referring to one who is "clean, pure, in a spiritual sense, from the pollution and guilt of sin." You did not "want" for yourself more than you "wanted" for others or you wouldn't have joined the military prepared to sacrifice and endure hardships for their sake. The valley of the shadow of death is a place you can leave. The shadow of war does not have to follow you for the rest of your life and you don't have to forget about it in order to heal from it. The "house of the Lord" is the body your soul lives in. He knew you before you came into this body of yours. Everything was already in your soul when you were sent to this earth. When given a choice which path to take, you decided to serve others. Your courage was there just as much as your compassion was there. 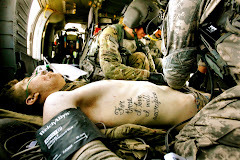 Many times soldiers in battle still manage to reach out an arm for a buddy, shed a tear, offer a prayer or a kind word. That requires goodness within you so strong that even the horrors of war cannot defeat it. War caused the pain you felt but you refused to allow it to stop you. You still risked your life no matter how much turmoil you were experiencing. Being willing to die for the sake of someone else, came from love and that has always been within you. Forgive yourself for what you feel you need to be forgiven for and forgive anyone you need to. This is how you start to change again and heal. Then you can help someone else heal as well. Right now, get stronger so you can be there for them. 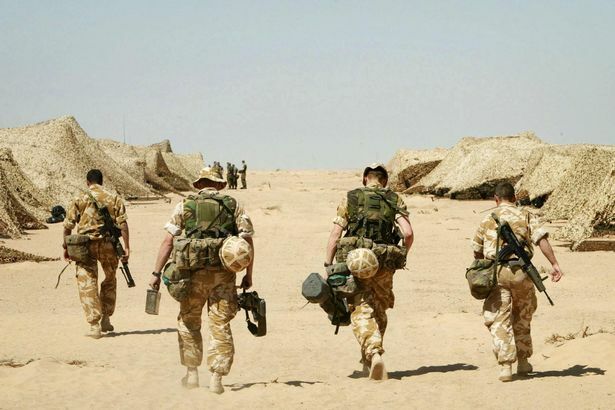 An Iraq war veteran who struggled to adapt to life outside of the army has spoken of how if it wasn't for "life saving" intervention by a Grimsby mental health crisis team, he would take his own life. 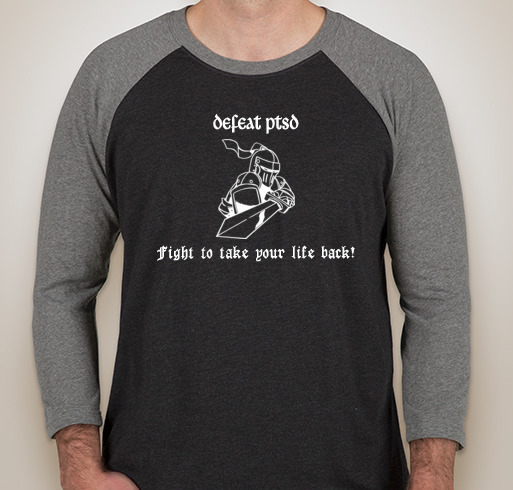 Sitting in the crisis assessment room at Navigo's mental health clinic in Grimsby, wearing a Help for Heroes shirt and clasping a mug of black coffee, John (not his real name), bravely opened up to talk about his struggle to reintegrate himself into society after leaving the armed forces. 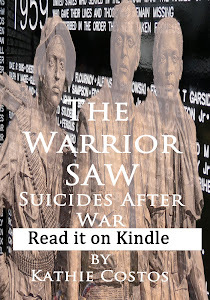 For the 46-year-old army vet, who served in both Iraq and Afghanistan between 2003 and 2010, wants to use his story of suffering with post-traumatic stress disorder (PTSD) to encourage other men to talk about mental health troubles. "Nothing makes you any less of a man because you've got mental health issues. Don't feel ashamed", says John, whose life spiraled out of control when he left the army in 2012. Yarmouth Police Capture "Navy Seal"
YARMOUTH, Mass. 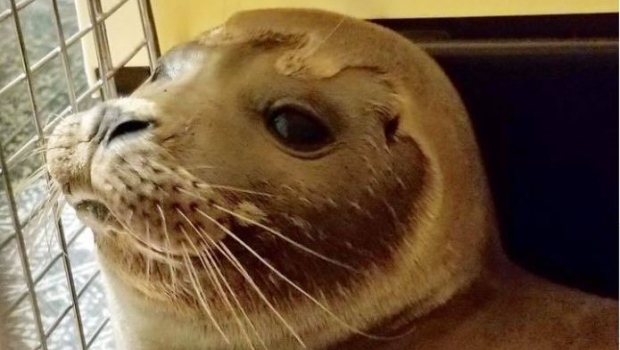 -- A baby seal that wandered far from the ocean has been returned to the sea with the help of some police officers on Cape Cod. Yarmouth Police say the seal pup was found waddling on Route 6A in Yarmouth Port late Friday. Police and Amazing Animal Ambassadors were able to put the seal in a cage and hold onto it until wildlife officials arrived. Police said on Facebook Saturday that the pup was given a clean bill of health and has been released back to the ocean. Authorities say they have nicknamed the seal "Houston" after Kevin A. Houston, a U.S. Navy Seal from Cape Cod who was killed in Afghanistan. HELMAND PROVINCE, Afghanistan-- Some West Michigan Marines deployed overseas will be bringing home a little piece of Afghanistan to Michigan. They found two puppies and with the help of loved ones back home, they raised enough money for vet bills and the long trip back home to Michigan. Hayden Gort is currently deployed to Helmand Province, Afghanistan. 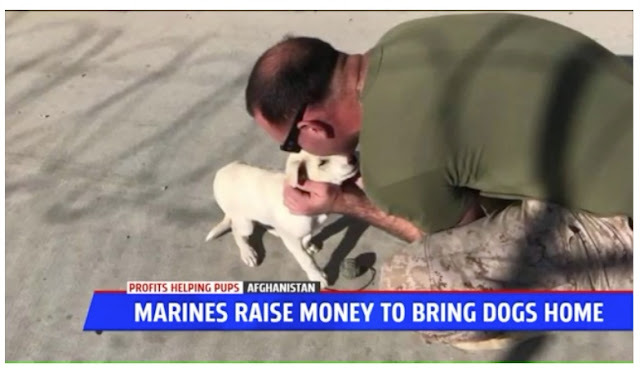 His team found a puppy going through their garbage a few weeks ago. Another platoon found a different puppy on the side of the road while out on patrol. They've been taking care of them ever since and soon they'll be on a plane back to West Michigan. It all started three weeks ago. "Me and my team were taking the trash out in the morning as we do every morning," said Gort. "We saw one of the trash bags moving and was somewhat empty. There was a puppy laying in it trying to dig through the trash to find food." That's when they found the puppy they would name Sabula. "I've got 57 medals," Holloway proudly proclaimed, remarking that some were pinned to his chest by President Lyndon B. Johnson himself. EDITOR'S NOTE: The Times Free Press in November 2016 published a story that included information about Vietnam veteran Stephen D. Holloway, who was speaking at a Veterans Day event in Pikeville, Tenn., and claimed to be the most-decorated veteran of the Vietnam War. Holloway's public claims were challenged by veterans of Vietnam and other conflicts, and the Times Free Press has spent more than a year investigating his military record. To date, Holloway maintains his claims are accurate, though few of his medals and awards have convincing documentation. This is part 1 of a two-day series. 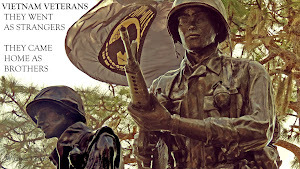 Prisoner of war in Vietnam. Sounds extraordinary, but that's what 69-year-old Vietnam veteran Stephen Douglas Holloway claims. 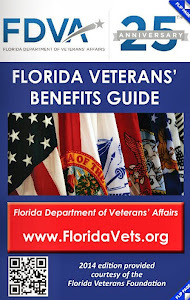 For three of those claims, the Hixson resident's DD-214 — the official document every military veteran who serves is given when discharged from duty — backs it up. One of Holloway's multiple DD-214s, anyway. If Holloway's Purple Heart claims are true, veterans who study military awards, documents and records say, he would be the most decorated service member to serve in the Vietnam War. But so far, the Times Free Press has been unable to verify any of those claims through military channels, or through Holloway himself. 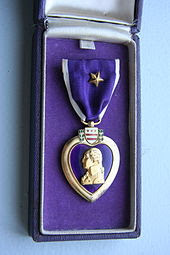 A fake Purple Heart claim flies in the face of the people who have legitimately received them. The title of most decorated American soldier probably goes to Robert Lewis Howard, a US Army soldier and Medal of Honor recipient of the Vietnam War. Howard was born July 11, 1939 and he died at age 70 on December 23, 2009. Robert L. Howard was wounded 14 times while serving over 54 months of combat. He was awarded 8 Purple Hearts, 4 Bronze Stars, and was nominated for the Medal of Honor in three separate cases. Having recovered from malaria, he was “good to go” a second time and reported back to his unit. With one Purple Heart to his credit, if Haynes was wounded two more times he would earn a trip back to CONUS, the Continental United States. The rule was: Three Purple Hearts earned a soldier the much-sought-after ticket home on the Freedom Bird. Most likely the architects of the “three-strikes-and-you’re-out of the war” rule had meant the policy should be applied to three separate engagements. 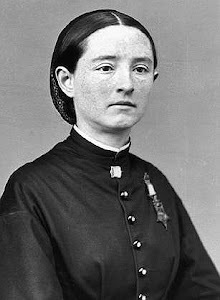 Hayes earned nine more Purple Hearts in one engagement. NEW YORK -- The victims of New York City's deadliest fire in decades include a man who immigrated to the Bronx from Ghana and dreamed of becoming a military policeman. 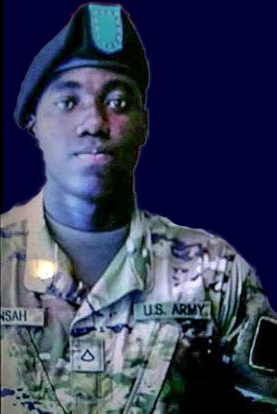 A relative told The New York Times that Emmanuel Mensah had rescued a number of people before going back into the burning building, where he died of smoke inhalation. A massive apartment fire that killed at least 12 people -- including a 1-year-old girl found with her mother in a bathtub -- was sparked by a small child playing with a stove, city officials said. When the family fled the first-floor apartment unit, they left the door open, allowing the flames to spread into the stairwell and shoot up the staircase of the five-story residential building. 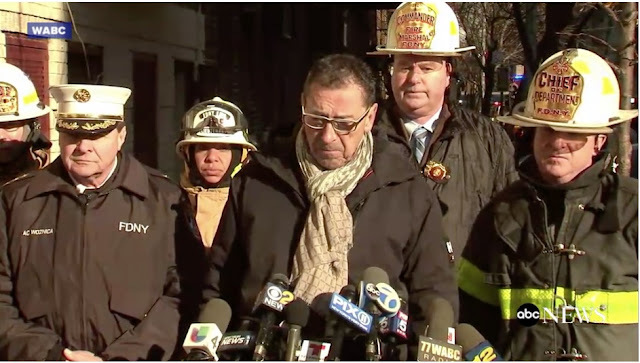 "It took the fire so quickly upstairs, people had little time to react," New York City Fire Commissioner Daniel Nigro said at a press conference Friday morning. "Open stairs act as chimneys." The burned-out halls of the building are seen in video released by New York fire officials on Friday. Soot and ash cover the hallway and stairwell from floor to ceiling. 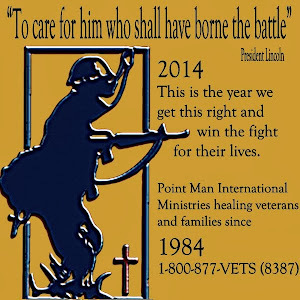 Even in one of the worst years for veterans, there had been some hope within all the scams and stunts. For all the folks out there asking for money do to absolutely nothing to prove they deserved it, people responded. They responded because they do care about our veterans. 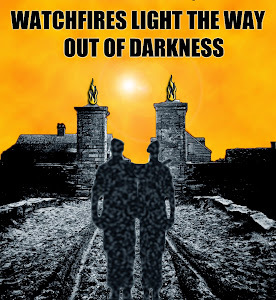 The problem is they put the spotlight on themselves and left veterans in the darkness where hope could not be found. 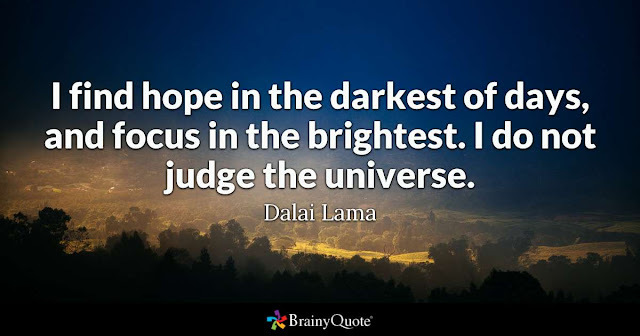 I wish I could say I do not judge the universe. I wish I could say that all the do-gooders out there are actually doing some good, but the majority are doing what comes easy for them. How hard is it to talk about a number when "its an easy number to remember" even if it is not true? How hard is it to talk about a headline when they never even bothered to read the report it came from? I've been asking that question for years. I am still waiting for an answer. Too many of them have stopped waiting for answers as hope vanished. They found people pretending to care while shutting their eyes to what veterans needed. The result was thousands of veterans shut their eyes for the last time. No one gave them another reason to at least try to stay alive. It has been over a decade since raising awareness became more important than doing anything to actually change the outcome. The result was billions going into charities and more veterans going into graves. Just in this year, here are some of the self serving groups and individuals who were supported while no one thought to ask for any proof for what they claimed. Telemarketers making money instead of veterans all over the country like this one. And recently, yet again in Florida, there was this guy. An Ormond Beach man has been accused of running a sham veterans charity after investigators said he scammed several local businesses that had provided services for a benefit golf tournament headlined by a former NFL player. Did anyone ask for proof from any of those groups before they wrote checks? Did anyone bother to check to see what all the "awareness raisers" were doing with the money they got? Anyone ask anyone what the result of all this was? Love On The Rocks? Seems to say most of it. Prisons have actually been training dogs since the 1980s. A Dominican nun is credited with bringing the first training program to a Washington state prison back in 1981. Inside Enfield Correctional Institution there are all the expected security measures: Huge steel doors. Armed guards. Barbed-wire fences. Locked gates. But in one area of the prison, there's something a little different. There's a room with a huge mural painted on the back wall. It shows men and women in army fatigues playing with dogs. One woman is in a wheelchair. Inside this room, there are all sorts of props built to mimic items in a home: a refrigerator; a portion of a wall with a light switch on it; a door -- literally a door to nowhere -- in the middle of the room, with a leash attached to a handle. 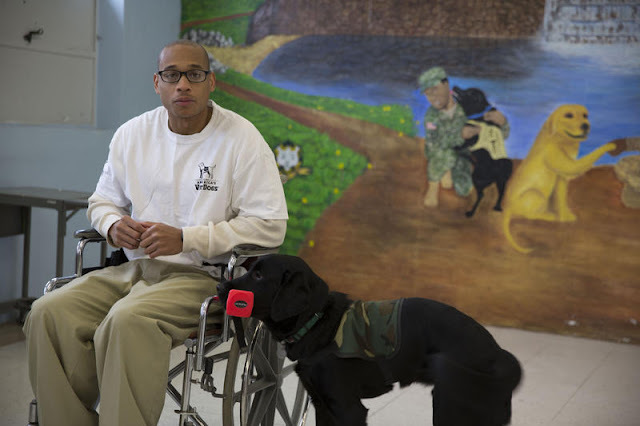 This room is where inmates train puppies to be service dogs for veterans. One of the dogs Santiago got to train was Caspar, a big yellow lab, mixed with a little golden retriever. A few months ago, Caspar found a home with Bob Rapone. He's a Vietnam veteran who's been living with PTSD ever since he came home nearly 50 years ago. P.J. DeMasseo, a survivor of the Oct. 1 Las Vegas shooting, cashed a check for $1,000 Friday from the Vegas Strong Fund. He is one of 12 people who received checks this week from the nonprofit totaling $14,800. He also could be one of the last. The checks — ranging in amounts from $200 to $3,900 — mark the first distributions to Oct. 1 victims by a nonprofit established in response to the shooting. But it was unclear Friday whether additional victims would receive money from the fund. The Vegas Strong Fund is a 501(c)(3) nonprofit created by the Nevada resort industry after the shooting. The Las Vegas Victims’ Fund, a separate 501(c)(3) nonprofit that has raised more than $22 million for victims of the Strip mass shooting — and gained far more attention than the Vegas Strong Fund — isn’t expected to distribute money until March. Many victims have expressed concern with that timeline because they have immediate financial needs, and others won’t qualify for assistance from the Victims’ Fund at all. Enter the Vegas Strong Fund. The $14,800 came from more than $12 million in commitments and cash collected so far. Most recipients will not qualify for assistance from the Las Vegas Victims’ Fund, which will benefit those who suffered physical injuries and the families of those killed. 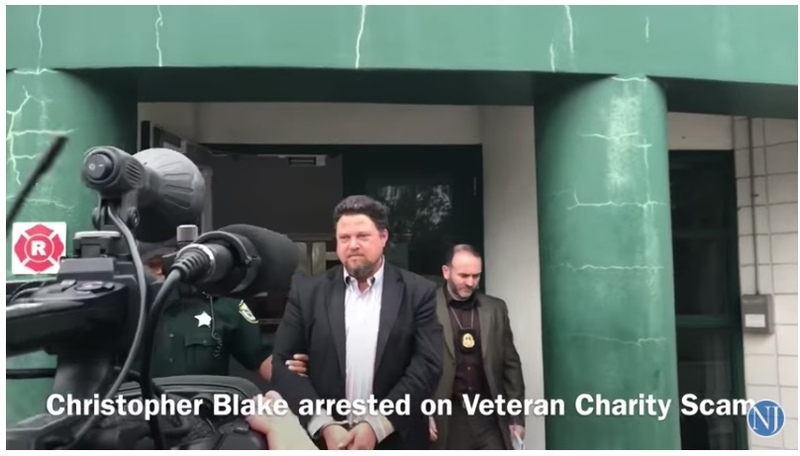 Christopher Blake, 46, faces a felony charge of organized scheme to defraud after he received donations and services under the guise of a charity called “Second Chance Veterans Foundation,” Volusia County sheriff’s detectives said. Blake held a late October golf tournament at DeBary Golf and Country Club where he brought in a friend, retired NFL football player Gerald Riggs, to be the star. But the golf course, a sign maker, a hotel and even Riggs were left empty-handed after Blake paid them with bad checks for their services or tried to skirt payment entirely, according to a charging affidavit. The website for Blake’s charity, which boasted of a Memorial Day raffle of a Harley-Davidson motorcycle that was said to have been donated by Bruce Rossmeyer’s Harley-Davidson, was also investigated. The raffle was to be held at Ace Cafe in Orlando, and the proceeds from it were to go to the area’s homeless veterans. But when Elmazi contacted the motorcycle dealership and the cafe, both owners said that the advertising was false. A few things to notice when you watch the video on the link. They start the session with the Pledge of Allegiance. The other is that the entire courtroom is there supporting the veteran who just graduated from the program...including his family! Top that off with the veteran wants to turn around and help other veterans succeed as well! Judge Bryan Feigenbaum said more than 80 percent of those who graduate do not repeat their crimes. 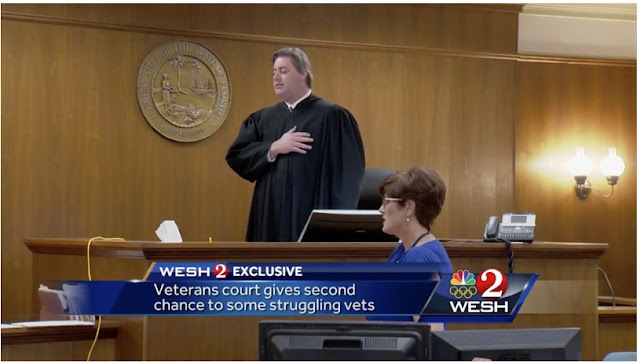 WESH 2 News has details on a court program that helps veterans, instead of sending them to jail. WESH 2's Greg Fox met a combat veteran who got a second chance after an armed standoff with police. The man has been rehabilitated and is hoping to help others. Kevin Hamilton, like others eligible for the pretrial diversion program, is a veteran with an honorable discharge. He was an Army sergeant and served in Iraq and Afghanistan. Hamilton suffers from post-traumatic stress disorder and held his family hostage and threatened his own life in an armed standoff in Ormond Beach in 2015 that ended peacefully. Veterans court gave Hamilton a second chance: counseling, probation and mentoring, or face prison time. 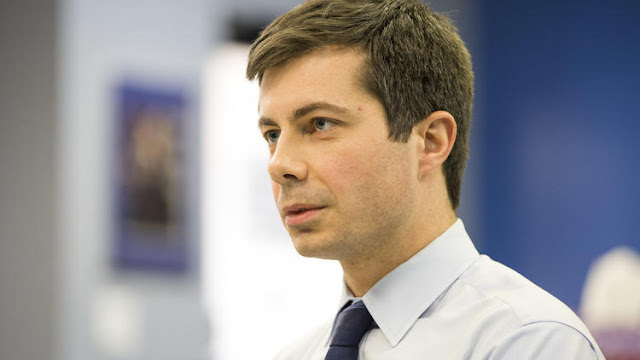 Buttigieg is a Rhodes scholar who served a seven-month deployment in Afghanistan in 2014 as a Naval Reserve officer. South Bend Mayor Pete Buttigieg says he and his boyfriend are getting married. The 35-year-old Democrat announced on Facebook Thursday that he and Chasten Glezman are engaged, writing that "He said yes!" The mayor's spokesman confirmed the announcement. Buttigieg says he's looking forward to spending the rest of his life with Glezman, who is a middle school teacher. This is exactly why I do what I do and why I have done it for over 3 decades. This is my Vietnam veteran! 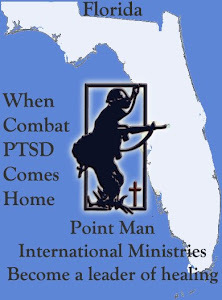 By the time September 11th hit, we, as a country had been working on PTSD for decades. 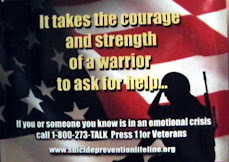 In the 70's, the DAV commissioned a study on PTSD and called it The Forgotten Warrior Project." Guess they figured having done this research, Vietnam veterans would never be forgotten again. After all, it was because of them that the far reaching effects of trauma became more understood. 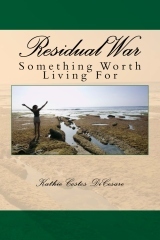 Surviving was only part of the residual damage done. 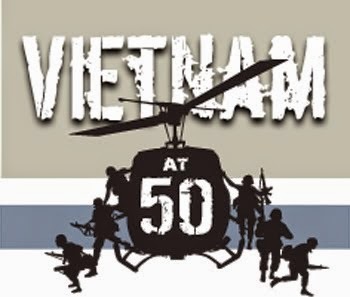 Anyway, having been totally involved in all of this, by 9-11, we were ready for what was to come in Vietnam veterans long before talk of more wars ever made the news. 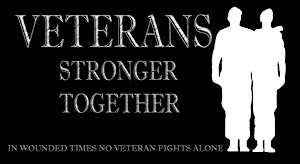 We knew we were already fighting one in our homes and trying to keep our veterans alive! 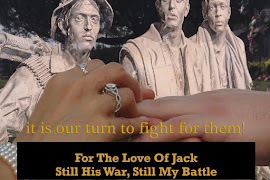 Strange thing is, I went to New York a month before 9-11 and had already finished my manuscript, For the Love of Jack, His War/My Battle. Jonathan Shay was kind enough to review it for me and then tried to help me get it published. No one wanted it. Well I said I would send it by the end of the week and here it is. I will be in New York/New Jersey until August 16th. Maria and I are finally going away to spend some time with my favorite cousin and her family. We are excited because we are going to Ellis Island and the Statue of Liberty, as well as a few other places. We want to look up our relatives that came from Greece and Italy. I hope that I didn’t sound too down with the last email I sent you. It has just been very hard to keep feeling the pain I was writing about. I worked so hard to heal with my psychologist, that I kept getting pulled back into the bad memories writing the book. I often wished I never wrote it but I know it helped me to get over the anger and frustration of living with John. I hope it will help someone else. I don’t know what I would have done without all the help, advice and encouragement you gave me. I admire your work so much that it was an honor that you took the time to help me. There were so many times that I couldn’t believe that you were actually concerned with someone like me. I don’t know how writers do it. Well it is done and I can get back to just living my life and doing the best I can for us. I have been so busy at work that I am totally exhausted when I get home, and still have to take care of the house, supper and the dog ect. It will feel good to have a few moments of free time. I am sure you will put to good use the time you won’t have to spend on me. Thank your wife for me. I know it is a lot to ask. Let me know what she thinks and what to do with it next. 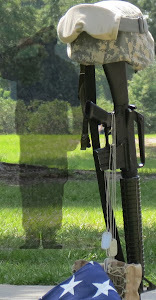 A few days after 9-11 we were on the phone talking about what that day was doing to Vietnam veterans. Reporters didn't seem to care much about any of it. We tried to warn them. 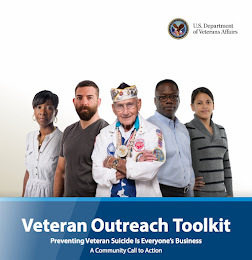 Most of us have been trying to raise the alarm bells ever since, but veterans over the age of 50 are 65% of the suicides. 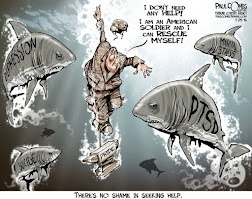 The rate of PTSD in them is 1 out of 3. 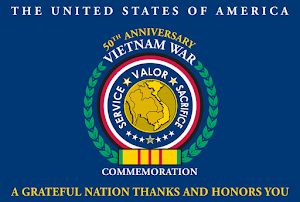 Vietnam veterans were forgotten about in all of this but most Americans pretended that all they needed was a pin and parades to make up for the lost decades when they suffered in silence. By the way, my husband was at the VA the planes hit the towers. Doesn't take much imagination to figure out what that was like for them there. It had been the longest year of his life. Billy Aldrich was a door gunner on a huey gunship in Vietnam attached to the Army's 101st Airborne Division, the legendary "Screaming Eagles." 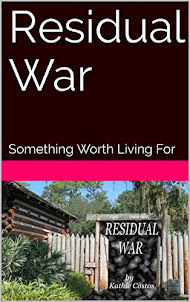 When Aldrich left Vietnam in June 1970, relief was not what he felt. 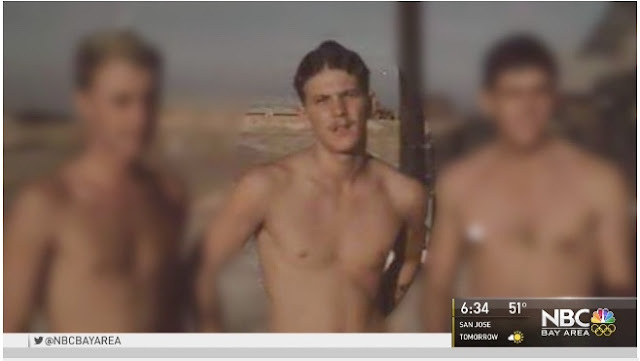 "Feeling really bad that I survived when guys in my company didn't," Aldrich said. "My helicopter got shot down and everyone got killed while I was on R&R." The medals he came home with tell the story of a brave soldier. But there was no hero's welcome. "I came back and left the Oakland Army Depot and took a bus over to the 7th Street bus station in Marin and there was like, protesters, like kids that we grew up (with), same age," Aldrich said. "And right away I realized, 'We're not gonna fit in. We're not cool.'" So Aldrich did not talk about his experiences, felt ashamed of his role in the Vietnam disaster, and immersed himself in drugs and a career as a barber. Thousands of his colleagues shared his struggles. "A lot of Vietnam veterans came home, had a terrible reception, were not sure how to feel about their service or felt strongly about their service or weren't around people that reflected their views," said Dr. Jesse Wade, a veteran's therapist. "And it became easier to just clam up and push through."